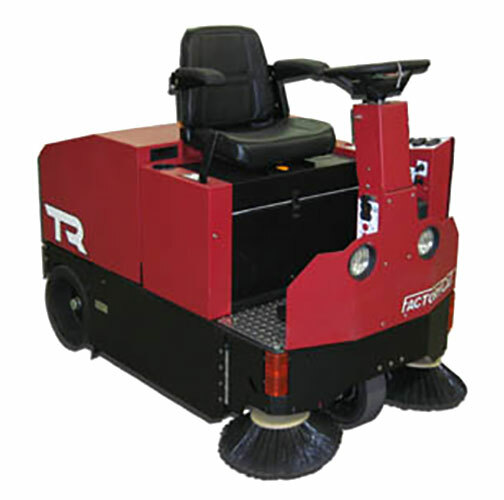 The Factory Cat TR Rider Floor Sweeper is a powerful compact sweeper that is designed for factories and warehouses. No matter what your mess looks like, the TR can sweep up metal shavings, dirt, dust, bolts, paper, foundry sand, and wood. 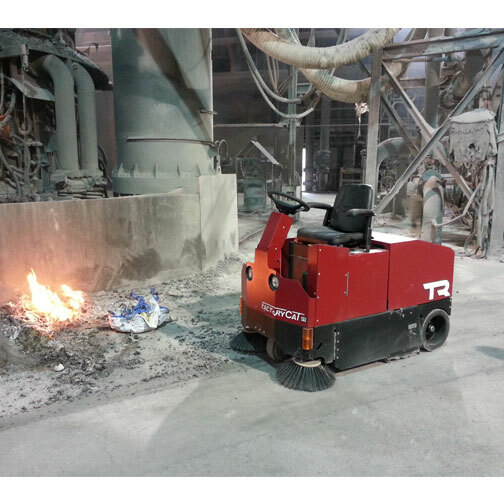 The Factory Cat TR Rider Sweeper effectively sweeps over debris on the floor. Then, the debris is picked up and stuffed into the stainless steel hopper towards the rear-end of the sweeper. When finished sweeping, simply pull out the hopper and empty it into a waste bin. Easy access to the slide out hopper and a simple control panel makes your sweeping quick and easy. This sweeper can pick up an entire bag of cement in just one pass. 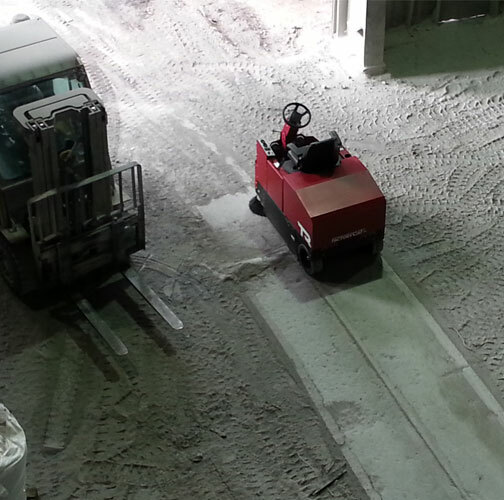 This battery powered machine is capable of sweeping a 350,000 sq. ft. facility in a single shift, and on a single charge. Call today for a FREE DEMO! Front Wheels: (2) 14" x 4"
(L x W x H) 64" x 37" x 55"
Broom (length x dia): 32" x 10"
Side Broom Size: (2) 17"
Battery Run Time: 4 to 7 hrs.